Dealing with an anxiety or any mental health condition can feel overwhelming at times, but you’re not alone. We see a range of people conquer anxiety in small doses or even huge leaps and taking control of their day. Stress and anxiety are not discriminative to who they target and can become a part of anyone’s life, at any age, at any stage in their life. There are even celebrities and influencers with anxiety. It’s important to realize that it’s not just you suffering from this condition. Many of the Hollywood stars or online influencers have also faced this. Some of them might have been able to control, manage or conquer their anxiety completely, allowing them a platform to them share their experience. Others might have been very close to someone with anxiety or even been a researcher in this field, with some valuable lessons to share to the world in the same respect. Here are some influencers with Anxiety and how they dealt with it.. Starting with the macho man of Hollywood and the Avengers line-up, Chris Evans, or as many people know him as, Captain America. In this YouTube feature, about Chris’s condition, he speaks about his condition before he started the role of Captain America and how he counteracts anxiety on a daily basis. Chris Evans approach to anxiety is very proactive, but he does share his dilemmas with decision making and how he overcame anxiety and depression in his earlier years. Although the macho man appears the strong in front of the camera, his character behind the screen is very much honest and clear about his suffering, speaking about “brain noise” that caused him a lot of stress and pressure. Evans’ best anxiety reducing practice is spending time with his family, winding down and re-charging. Next up is one of the biggest YouTubers on the planet: Zoella. Famed for her make-up tutorials and vlogs, Zoella has an audience of 12,000,000 subscribers on YouTube and millions of social media followers behind her for each of her new videos. 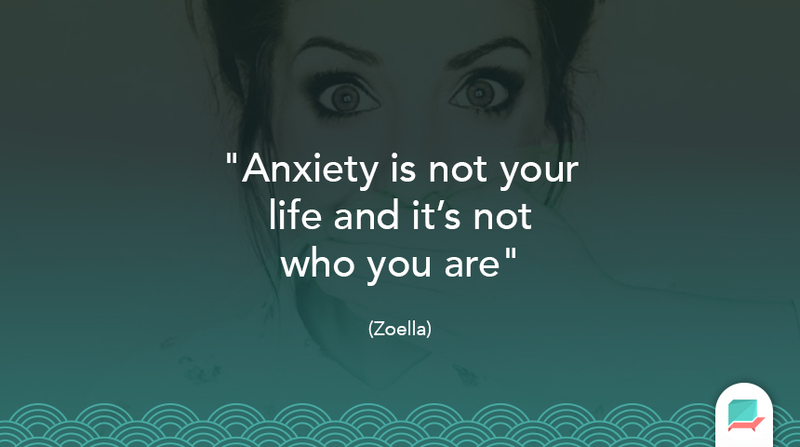 Zoella isn’t new to panic attacks and anxiety, she was a long-time sufferer and even during her early YouTube years was struck by anxiety and it’s the stresses of life. On her channel, she shares her advice on how to deal with these attacks and anxiety. For many of your clients, Zoella might be a positive example they can actively begin following after their session and processing exactly what has worked for her. Zoella doesn’t just have one or two videos on this topic, but many, allowing watchers to really dive into the elements of tackling anxiety that has worked for her. Joey Kidney is a popular YouTuber who covers popular topics around relationship advice and life challenges, documenting his life like many popular YouTubers. 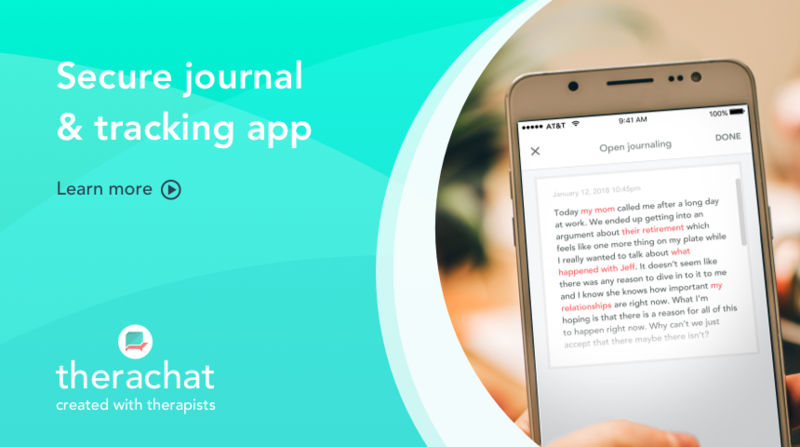 For one week, Joey recorded all of his anxiety attacks showcasing his week’s worth of pressures, emotions and the damage to his routine. The premise of his concept is to help raise awareness against the emotional journey that is anxiety. This video wrapped up almost 2M views, bringing many people to discuss coping with anxiety in the comments, beginning health conversations on the topic of mental health. For males or young people, Joey, in particular, could be a positive example of someone coping and dealing with anxiety on a daily basis. YouTuber, Kati Moran has one of the most extensive ranges of videos about mental health conditions on YouTube. Her videos have helped many individuals come to terms with their conditions and provide them with the best coping mechanisms outside of medical and therapeutic treatment. Kati has a friendly personality making her videos really easy to watch and very relatable, allowing for the perfect viewing with advice from a licensed therapist. For many people, this methodological approach to conditions can help them to re-frame it and take actionable advice towards improving it. Her channel has over 300,000 followers and hundreds joining daily to become part of her resource guidebook to taking control your anxiety and conditions. Vlogging has become a very easy way to document a day or even advice in a more personal fashion allowing a YouTuber or Influencer to share their true emotions and give value where they can. From life hacks, to morning routines, Nikki covers what she believes to be helpful advice and tips, which allow subscribers to really uncover their own pains and stresses of life. Topics around eating disorders, anxiety and mental health are all covered in her range of videos that she posts weekly to her channel of over 1M subscribers. Nikki’s videos have become very popular and her explanations and story of anxiety has helped many to deliver what changes they needed to make. There are hundreds of other celebrities that have had many issues across their lives with anxiety and other such mental health conditions. They include Jessica Alba, with her excessive OCD during the filming of Fantastic Four, Whoopi Goldberg with her anxiety around flying in planes and even David Beckham with ataxophobia, a fear of untidiness, which caused a lot of tension on his marriage. Anxiety doesn’t discriminate but these people help us to frame anxiety in a positive manner and help with a health coping mechanism. Professor of Medicine at Pittsburgh University, Brian Primack addressed that he believes YouTube videos are a big step towards talking about mental health. And you can benefit from it now. Do you know any famous/well-known people/historical figures that suffer with anxiety day to day? Let us know in the comments below!